Who can tell us more about the reality of war, reporters, novelists or poets? On Armistice Day, and as next year’s centenary of the start of the First World War approaches, I have published a piece on the website of The Conversation considering literary and journalistic ways of describing armed conflict. You can read it here, and there is a version of the article on this page, too. It is a shameful chapter in the history of journalism. Millions were killed and maimed during the First World War: about a million from Britain and its empire alone. The mechanization of war made possible killing on a scale never foreseen. Today, some stretches of trench, and craters from explosions still remain: scars on land which once was battlefield. They help us to imagine the nature of trench warfare: terror; boredom; discomfort; despair. What a challenge, what an opportunity this conflict was for journalists – a challenge, alas, to which they largely proved unequal. As Philip Knightley concludes in his excellent The First Casualty, ‘More deliberate lies were told than in any other period of history, and the whole apparatus of the state went into action to suppress the truth.’ The state censored; correspondents frequently cooperated. Now, as the centenary of the start of the war draws near, it is the poets, and not the reporters, whose writing is remembered. It was agonizing to see the wounded men who were lying there under a broiling sun, parched with excruciating thirst, racked with fever, and agonized with pain – to behold them waving their caps faintly, or making signals towards our lines, over which they could see the white flag waving. is so hard-hitting in its eyewitness realism that the reader can almost feel the dying soldiers’ blinding headaches. After the failures of the First World War, journalism’s reputation was restored in the Second by reporters such as Richard Dimbleby; Ed Murrow; and Vassily Grossman. Michael Herr’s Dispatches, written about his experiences in Vietnam, combines reportage with literary style. It still has a punch and freshness almost 40 years after publication. The Second World War also inspired the poetry of Keith Douglas – even though one of his most memorable, ‘I listen to the desert wind,’ takes as its theme desolation and heartbreak, rather than soldiering. Before being killed in Normandy in 1944, Douglas had fought in the Middle East. The region was a battleground in both World Wars — and, in Syria and Iraq, has been much more recently. From 2002-2004, I was the BBC’s correspondent in Gaza. In December 2003, I travelled to Iraq for a reporting assignment. 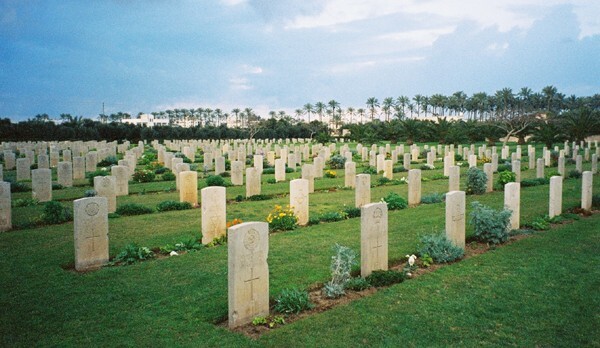 A couple of weeks before I left, there was supposed to be a Remembrance Service in one of Gaza’s two Commonwealth War Cemeteries – the final resting place of soldiers engaged in a campaign against Ottoman forces in the First World War. That year, as the second Palestinian intifada – or uprising against Israel – wore on, the ceremony was cancelled. It was too dangerous. I remember, on a later visit to one of the cemeteries, finding gravestones chipped by recent bullets. In Iraq, officially at least, I encountered optimism among the occupying powers. While I was there, Saddam Hussein was captured. I thought then of Siegfried Sassoon’s character, a ‘gross, goggle-eyed’ father, whose ‘eldest lad/ Writes cheery letters from Bagdad.’ I wondered if another father, perhaps somewhere in the shires, was now, some ninety years later, saying something similar. If he was, it was premature. Ten years on, there are far fewer people who think the invasion was wise. Iraq produced some memorable war reporting, especially once the insurgency began in 2004. The coverage of the run up to the invasion was less creditable. The New York Times was just one of the news organizations ‘fell for misinformation’. At least they had the courage to admit it. Where will future generations look for their first-hand accounts of that conflict, to reporters’ despatches, or to writers’ poetry and prose? Perhaps to Kevin Powers’ The Yellow Birds, widely praised on publication last year. ‘Essential’ and ‘difficult’: words to describe any great writing about war: journalism, or literature. If you want to read more about my time in Gaza, or Iraq, please see details of my books ‘Reporting Conflict‘ and ‘No Road Home‘ on the ‘About‘ page of this site.